Has the ICC given President Paul Kagame a free ride? 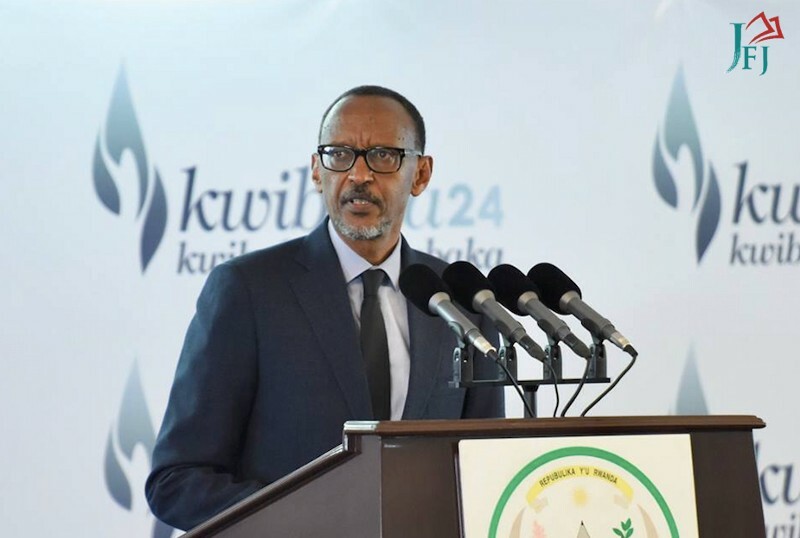 “President Paul Kagame gets riled at everyone and every institution that doesn’t do his bidding all the time,” is how journalist Judi Rever explains the Rwanda leader’s deep dislike for the International Criminal Court (ICC). Rever should know. She’s out with a new book that’s a warts-and-all examination of Kagame’s nightmarish past. In Praise of Blood: The Crimes of the Rwandan Patriotic Front places many of the horrors of Rwanda’s 1994 genocide at Kagame’s doorstep. There have been rumblings before that the full story of the Rwandan genocide is yet to be told. In Praise of Blood is aboutas complete a picture of the Rwandan genocide as one could hope for. The book alleges that Kagame’s Rwandan Patriotic Front (RPF) troops bothtriggered the genocide and participated in countless atrocities inside and outside Rwanda. 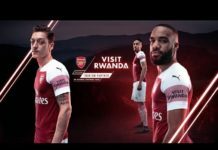 Rever paints Kagame as a prolific genocidaire who has only evaded justice due to powerful global allies who see him as a means to geopolitical ends. “He’s actually gotten a free ride from the ICC despite all the evidence of his army creating, sponsoring militias in Congo since 2002. 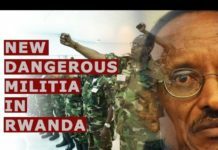 Militias sponsored by Kagame’s troops have plundered, killed civilians and recruited child soldiers in the Congo yet Kagame and his commanders have not been indicted by the ICC,” says Rever. Q: President Paul Kagame and President Yoweri Museveni of Uganda have a complicated history. What can you tell us about it? Rever: Paul Kagame grew up in Uganda after his Rwandan family was pushed out during the anti-Tutsi pogroms in the late 1950s and early 1960s. Kagame went off to fight with Yoweri Museveni who was a guerrilla leader in the National Resistance Movement in the bush wars that overthrew Idi Amin. From the mid to late 1980s when Museveni formed a government, Kagame became his spy chief. Kagame developed a reputation for being ruthless and for perfecting some of the torture and murder techniques that he’d learned years before in the Luwero Triangle. Of course Museveni then provided Kagame and Rwandan Patriotic Front with formidable military backing to invade Rwanda in 1990 and engage in war against Habyarimana’s regime for the next few years. That’s really the essence of their relationship. Q: President Kagame has had some harsh things to say about the International Criminal Court (ICC). What do you think motivates his animus? Rever: President Paul Kagame gets riled at everyone and every institution that doesn’t do his bidding all the time. But he’s actually gotten a free ride from the ICC despite all the evidence of his army creating, sponsoring militias in Congo since 2002. www.jfjustice.net/en/complementarity/getting-away-with-genocide-in-rwanda Militias sponsored by Kagame’s troops have plundered, killed civilians and recruited child soldiers in the Congo yet Kagame and his commanders have not been indicted by the ICC. We have seen lower-level indictments but there have been no official indictments against Rwandans by the ICC as there have been against Congolese commanders. Why is this? Despite not being a signatory to the ICC, the United States funds the ICC and has some measure of influence in what cases go forward. The argument that Kagame has levelled at the ICC is that it is a Western court that has prosecuted mainly Africans. The ICC is racist or anti-African according to Kagame and a number people see it that way. But Kagame’s argument is a smokescreen. The fundamental issue here is that Kagame does not abide by any court or any international law. To give you an example, the African Court on Human and Peoples’ Rights delivered a judgment against Rwanda in favour of political prisoner Victoire Ingabire Umuhoza in 2017. This is an African court to which Rwanda had been a signatory. This court said Victoire Ingabire’s rights had been violated during the court proceedings and that her trial and conviction were unfair. But Rwanda has not abided by that ruling. It has not responded to or provided reparations to her. Kagame is head of the African Union now and doesn’t abide by an African Court either. Q: You mentioned Congolese militias with ties to the Rwanda Army. Bosco Ntaganda, who is currently on trial at the ICC, is reportedly one of them. How does that play into the ICC giving Kagame “a free ride”? Rever: Bosco Ntaganda is considered a Congolese commander but those who were on the ground with him know that he is Rwandan. A senior Rwandan commander has never been indicted by the ICC despite all the bloodshed. The ICC has been careful not to link Ntaganda directly to Kagame. Kagame and Museveni both have militias under their control in the Congo yet the ICC hasn’t brought up charges against the real godfathers of the militias. They are seeking lower-level responsibility for these conflicts. Nevertheless, the arrest of Ntaganda was a big step but it took many years before that happened. There was a time when Luis Moreno Ocampo, the former ICC Chief Prosecutor, had asked Kagame to deliver Ntaganda to the ICC and Kagame apparently said “No, it isn’t happening.” According to former RPF officers that I have spoken to, it got to a point where Ntaganda was afraid of being eliminated by Kagame because he was getting to be a dangerous witness. Ntaganda thought his life was in danger and he ended up handing himself over to the US Embassy. Q: There are fears that Rwanda and Burundi are headed for war because of President Pierre Nkurunziza’s shredding of the Arusha Accords which enshrined a Hutu-Tutsi power-sharing formula. Is this something you foresee? Rever: I don’t foresee Rwanda and Burundi heading to war because of the Arusha Accords being shredded. Burundi is indeed in crisis. I think we should listen to the human rights activists like Pierre Claver Mbonimpa. The underlying issues of instability, unrest and political grievances are deeper than Nkurunziza’s decision to hold on to power. Rwanda under Kagame has sought and profited from weak states throughout Central Africa because it derives some kind of leverage from the chaos. It has stoked conflict in neighbouring Burundi and Congo and now its relations with Uganda are very tense. Rwanda has a tradition of seeking instability. Rwanda vis-a-vis Burundi has had a unique history of political interference. In 2015, Nkurunziza’s ally and de facto security chief General Adolphe Nshimirimanawas killed in an ambush. A few weeks later another presidential ally, former army chief Colonel Jean Bikomagu was assassinated outside his home in Bujumbura. And then in 2016 we saw a senior commander, Lt. Col. Darius Ikurakure, who had led a crackdown on opposition forces in Burundi, shot dead inside Army Headquarters in Bujumbura. 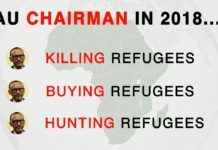 At the same time in 2016, UN experts told the Security Council that Rwanda was recruiting and training refugees from Burundi in a bid to overthrow the Burundian president. All of this is to say that Rwanda’s campaign against Burundi at that time was shocking. 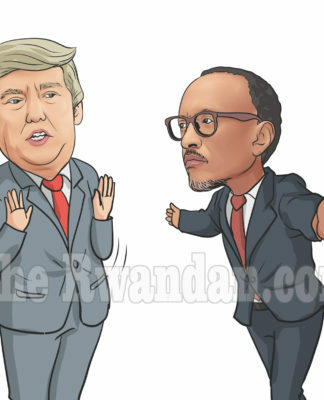 Rwanda’s role in the conflict in Burundi is very important but I think Kagame’s manoeuvres in Burundi have been contained, to some extent, by Tanzania and Uganda and by warnings from the United States so I don’t think there’s going to be war between two countries. Q: What’s the reaction your book has produced in Rwanda? Rever: There has been no official reaction from the Rwandan government to my book. I suspect they can’t muster up an effective response based on facts because they know what I’ve written is true and they know I have the evidence and sources to back everything up. They also know that I have even more evidence than what I presented in my book. I certainly have a lot more testimony and elements from my research than I included in the book. They know that if they were to counter it on any basis that I can refute it and then bring out even more evidence. I think that’s what they are worried about. Next articleRwanda was waiting on the other side of the boarder for their main man – communication evidence has proved it.